Epiphone presents the new Ltd. Ed. 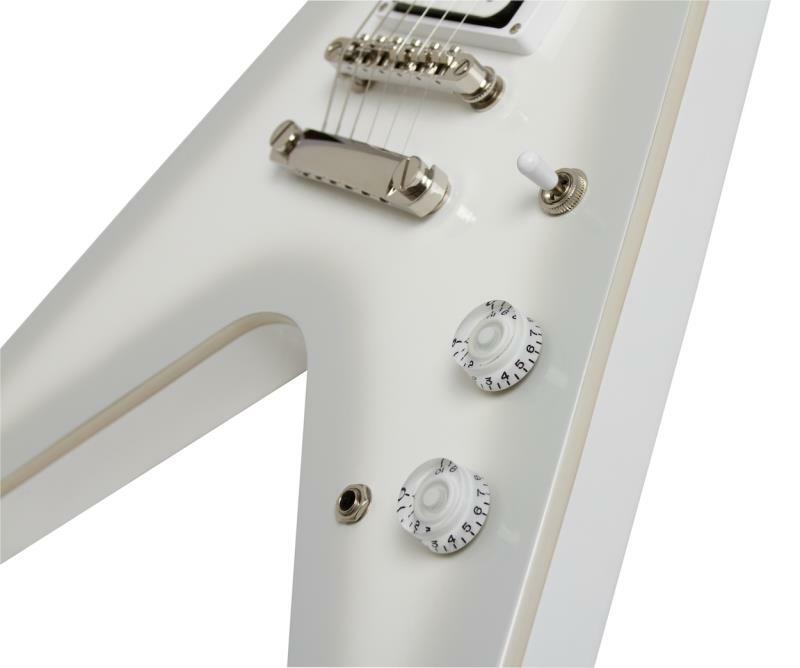 Brendon Small "Snow Falcon" Outfit, the second signature guitar for Dethklok creator Brendon Small, featuring the historic Flying V profile in a one-of-a-kind Snow Burst finish plus Gibson® BurstbuckerTM humbuckers with coil-splitting, KillPot™ switch, LockTone™ bridge, Stopbar™ tailpiece, and Grover® Rotomatics™ machine heads plus a Premium Custom Fitted Gigbag. 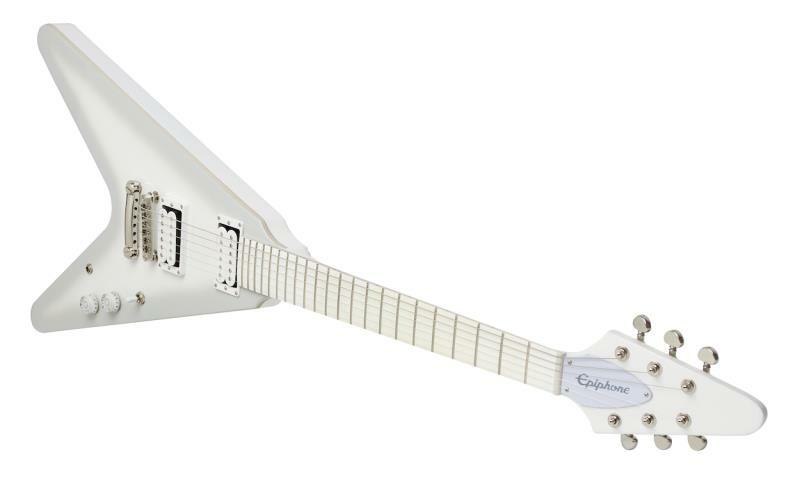 The Flying V is one of the Gibson and Epiphone family’s most iconic and original guitar designs. The new Ltd. Ed. 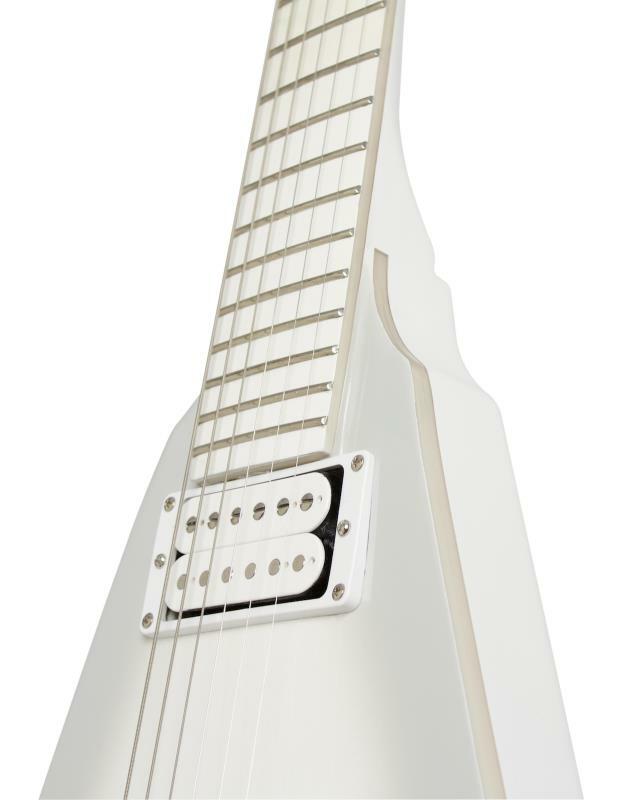 Brendon Small “Snow Falcon” features a Mahogany body with the famous Flying V profile but without a pickguard in a Snow Burst colour finish chosen by Brendon Small. The Snow Falcon has a Mahogany neck with a two-way adjustable truss rod and a 1960's SlimTaper™ D-profile. The neck comes with a durable and ultra-smooth phenolic fingerboard with a 24.75” scale length, a standard 12” radius, and 22 medium jumbo frets. 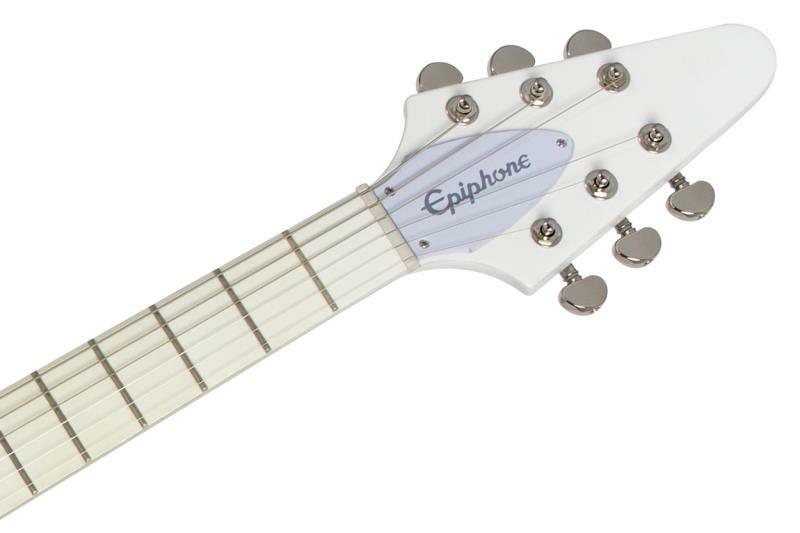 On the back of the headstock is a "2016" Epiphone Limited Edition logo. Both the body top and the fingerboard have single-layer white binding. A white premium custom fitted gigbag is included along with a Hand-signed Certificate of authenticity. An optional hard case is also available. For his second signature Epiphone, Brendon Small chose world famous Gibson BurstbuckerTM humbuckers which are modeled after rare late 50s humbuckers found in “Sunburst” Les Pauls that now go for over $150,000 on the vintage market. In the neck position is a Gibson® Burstbucker-1™ and in the bridge position is a slightly “hotter” Gibson® Burstbucker-2™ for leads. The simple controls feature White “Speed” Knobs and include a Master Volume with a push/pull control for applying coil-splitting to both pickups and a Master Tone that also doubles as a KillPotTM switch for classic “stutter” effects. The Ltd. Ed. 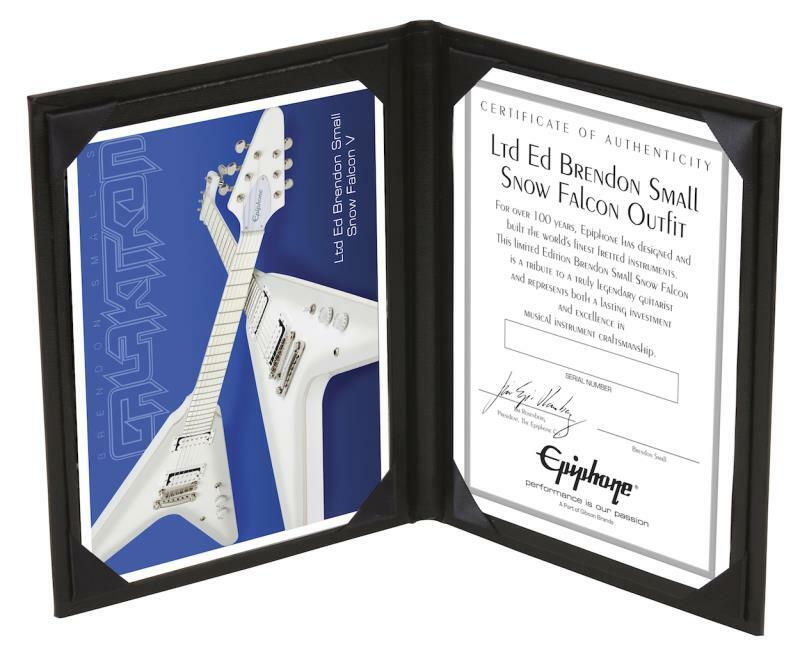 Brendon Small "Snow Falcon" Outfit comes with world class rock solid Epiphone hardware including a solid nickel fully adjustable LockToneTM bridge and StopbarTM tailpiece, a solid nickel Heavy-Duty Non-Rotating 1/4" output jack, and legendary Grover® Rotomatics™ machine heads with an 18:1 turning ratio for fast and accurate tuning.